If you’re thinking about opening a company in Italy and don’t know exactly where to establish it, we highly recommend the Milan area. Read on for some tantalising reasons to set up in the capital of culture. As the second largest city in Italy after Rome, Milan also sits inside the country’s wealthiest province, and the 5th biggest metropolitan area in Europe by population. Just as importantly, Milan is an excellent business environment. One of Italy’s most dynamic and multicultural cities, Milan is known nationally as Italy’s economic capital, continuously attracting investments and new business. It is home to many important financial institutions: the Italian Stock Exchange is based in Milan, as are more than 170 banks and about 10,000 financial service companies. This reflects on the positive legislative environment for top level financial and consultancy services, and being based there will give you significant cachet. Milan is perhaps best known for its fashion. As the undisputed world capital of fashion alongside Paris and New York, world fashion centres on the glossy Quadrilatero della Moda and particularly Via Montenapoleone. The latter is famed for its luxury shopping, placing it comfortably in the top 10 destinations with the highest rental value in the world. The Milan area produces 61% of the Italian turnover in the fashion and design industries, and hosts more than 15% of Italian creative companies. Male & female fashion weeks are held every year, with many events throughout the city bearing the hallmarks of Armani, Dolce & Gabbana, Gucci and Trussardi. Less well known is the yearly International Furniture Fair (“Salone del Mobile”) in April, the most important event of its kind in the world. Milan is also very well known in the Italian industry of information and communications technology. More than 1200 ICT companies reside in the area, making it a major multimedia and publishing capital. 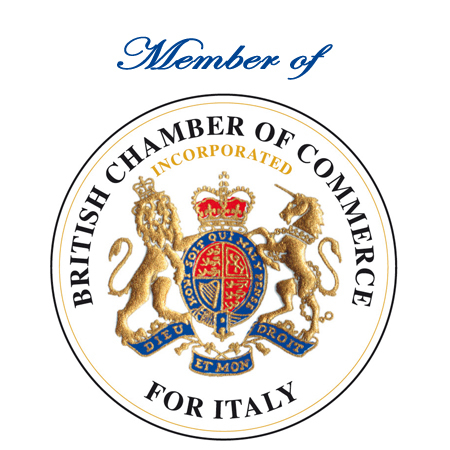 It has a particularly advanced internet infrastructure, and its the best Italian city for the quality of ICT cluster. For recruiters and high-class talent seekers, there is also reason to be cheerful. Milan is home to 8 universities (3 public and 5 private) and 2 international schools, and attracts 20% of all the foreign students that come to Italy. It is also a good choice for investing in real estate, with many international buyers looking for accommodation in new luxury buildings, particularly in areas such as City Life and Porta Nuova (Bosco Verticale). In 2015 Milan hosted Expo – a world fair based on the theme "Feeding the Planet, Energy for Life". It attracted more than 21 million visitors, of which around one third were foreigners, confirming Milan again as a capital of business and finance. In 2016, Milan attracted more visitors than Rome for the third year running, and is at the same time the Italian city with the highest quality of living. Last but not least, the city is considering setting up a tax-free zone as an attempt to attract new business and investors in Italy. This is especially pertinent following Brexit, with a concerted bid to court London’s financial institutions. The city offers a wealth of advantages for new investors in Italy: three international airports, primary transport infrastructures and many office spaces. If you want to set up a company in Italy this is definitely the “place to be”.